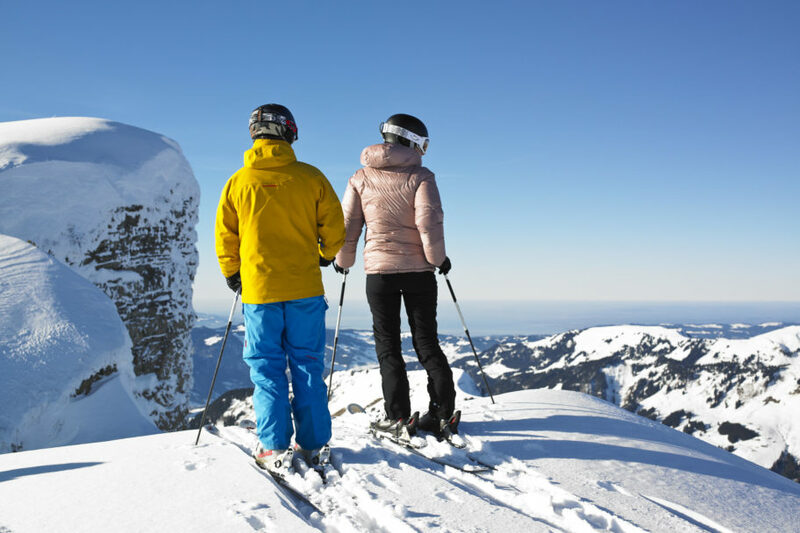 Au-Schoppernau and the Diedamskopf ski resort is known for its magnificent mountain panoramas, the innovative snow sports school with kids’ paradise and the extensive offers for snowboarders. 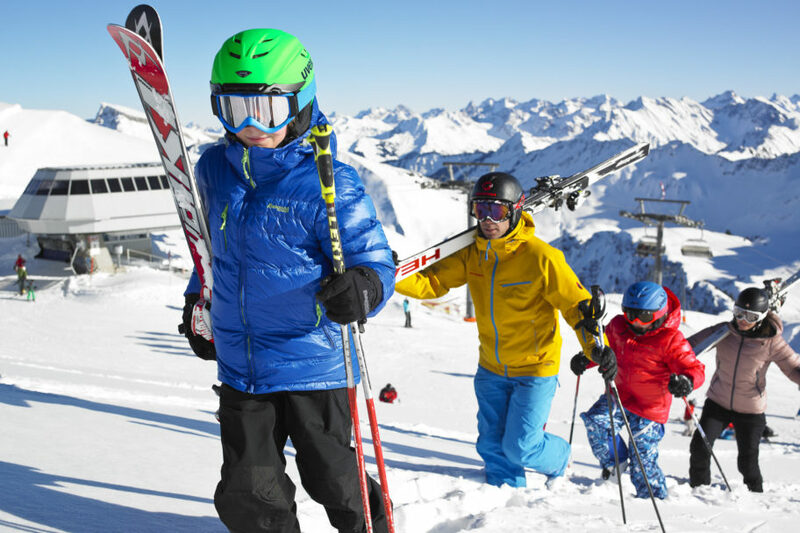 The slopes on the Diedamskopf, at an altitude of 2,090 m, are popular with both advanced skiiers and families with children who are experienced at skiing. The long descent into the valley and the backcountry skiing options at top. 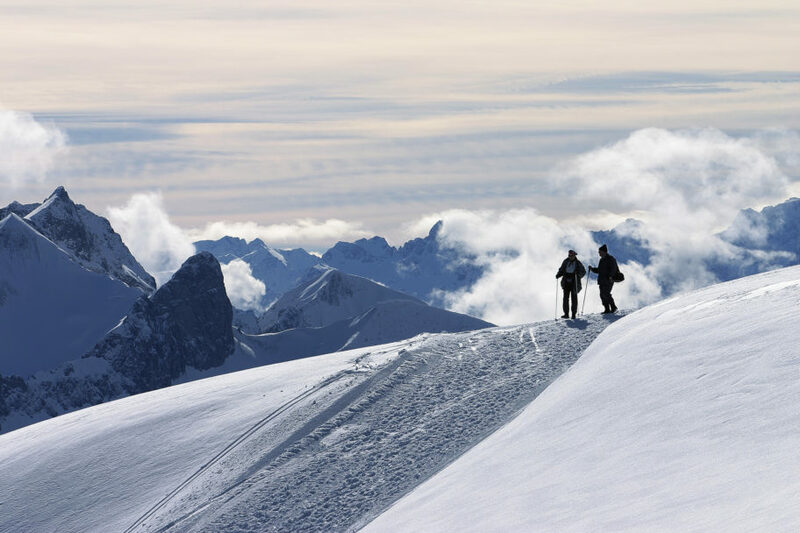 Special panoramic views of the mountains and as far as Lake Constance can be enjoyed from the peak, which is accessible via the winter hiking path and the year-round base for paragliders and hang-gliders. 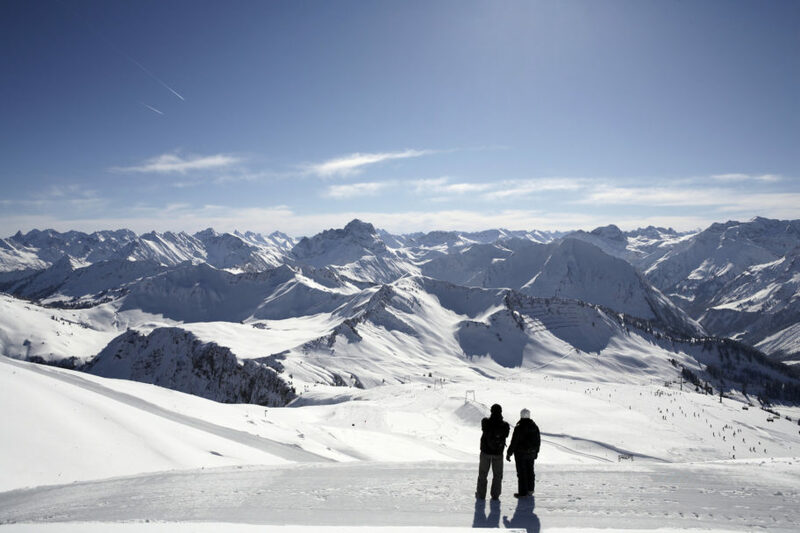 The Pleasure Diedamspark is a highlight for snowboarders and free skiers alike. Those in good shape should tackle the 10-km long valley run, which covers a difference in altitude of 1,250 metres. The lift serves two lovely, gently sloping pistes. This is one of the few places in the Bregenzerwald that you can ski and toboggan on an evening too, by floodlight. 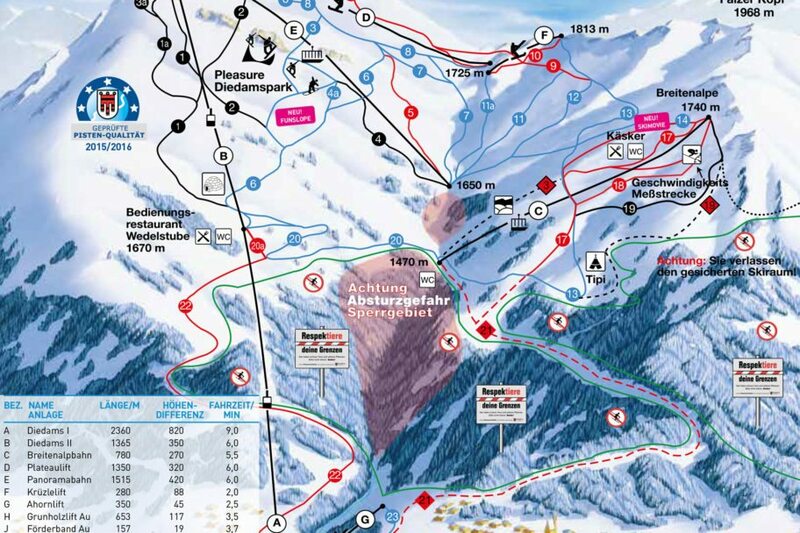 The three-valley ski pass is valid for the journeys by lift. Evening opening times: Wednesday and Friday, 7 to 10 p.m.
e-station with five pumps and ten charging stations next to the valley station. 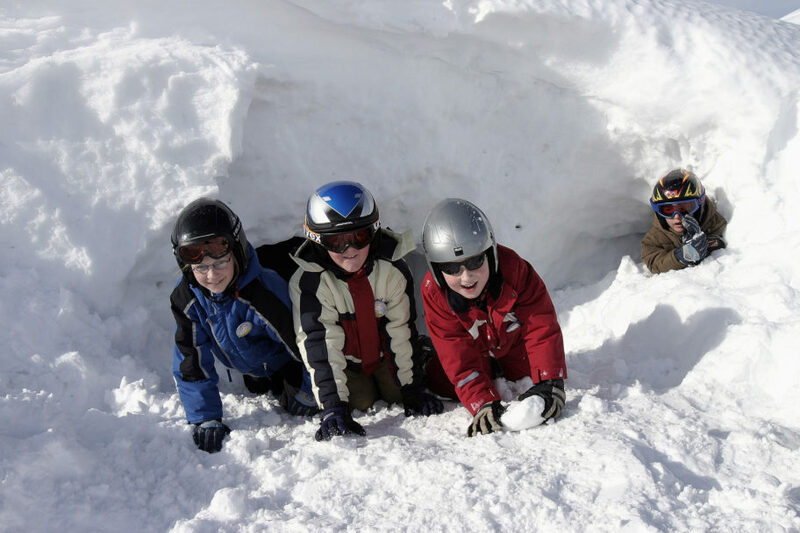 The fun slope featuring waves, jumps, a tunnel and snail promises fun for the whole family. Skiers can have their very own giant slalom racing video made on the ski move track on the Breiten alp. You can watch and download the video from www.skiline.cc. In “Didiland”, children playfully learn how to take their first steps on skis. There are three conveyor belts, a carousel, shuggy boats, a snow igloo, a tent and much more. A children’s play area covering 300 m² is housed on the top floor of the mountain station. The kids are looked after and can spend either the whole day or a few hours here.